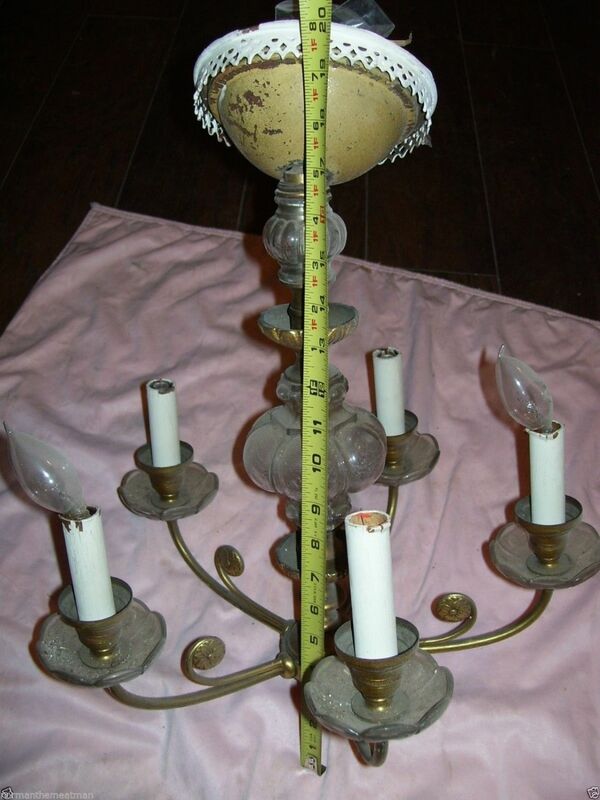 With all my experience restoring vintage lighting, I am occasionally surprised, even stunned, by the AFTER. This chandelier looked SO bad that I hesitated purchasing it. What decided things for me? The cast brass rosettes curling up from each arm. Sweet. And these looked to be of high-quality, indicating that the whole fixture was perhaps of high quality — appearances notwithstanding. I also did not understand how it attached to the ceiling. WHAT was the odd piece painted white on the top, with the filigree edge? And what was the painted cup under? They BOTH could not be ceiling canopies. While working on the fixture it all dawned on me. The white painted canopy was brass under. Like the rest of the fixture. The painted cup had been added at one point. it was steel, clearly did not belong, and nor did it even fit. It was only after hanging the fixture that I realized that the filigree edge of the brass ceiling canopy was intended to have drop crystals hanging from it. But of course! Perfect for one of your closets! As I know you like putting chandeliers in unexpected places! It really looked terrible. 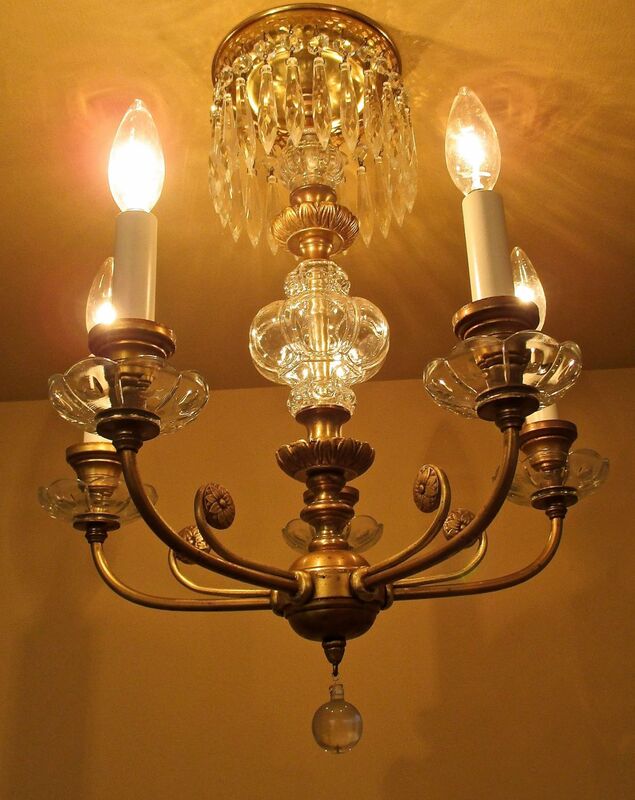 It must be very rewarding to take that ugly, dirty light fixture and make it beautiful again. I felt rewarded just looking at it.